The North Shore Forest Collaborative area is a very long corridor, stretching from Knife River to the Canadian border. It includes many different landowners with many different challenges. There is no easy solution to restoring the North Shore Forest but there are things that everyone can do, large or small landowner with any size budget. Learn how to plant trees on your property including what types of trees to plant and how to protect them. Find out about invasive species that are found on the North Shore and the techniques for getting rid of them. Learn about the Arrowhead Invasives Team. 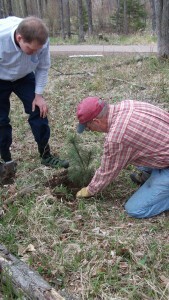 Look for opportunities to volunteer for a variety of organized reforestation activities. 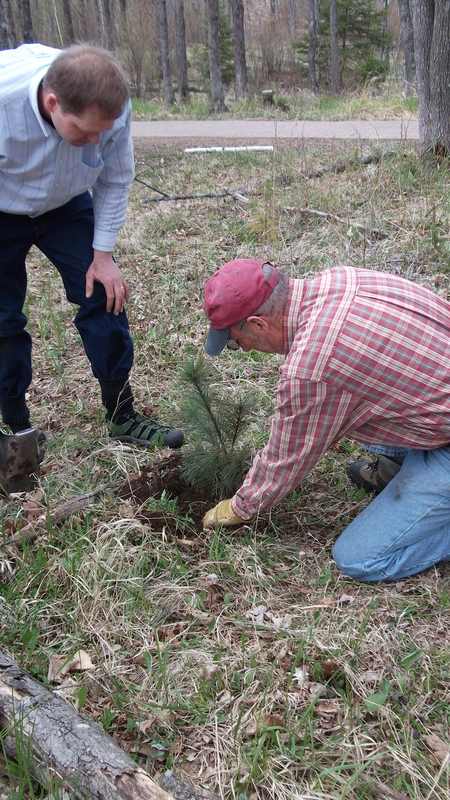 Talk to your neighbors about how you might combine resources to accomplish reforestation goals. Take classes about forest best management practices and strategies. Watch this website for program opportunities. If you have a large parcel of land, have a Woodland Stewardship Plan created to help you set goals and objectives for your property. Take advantage of cost share opportunities for private landowners available for stewardship and wildlife habitat improvement. Identify what steps you can take to safeguard forest health from animals, weather, insects, fire or other environmental conditions. The North Shore is a National Scenic Byway and All American Road, meaning it is valued for the scenic and natural qualities it has to offer. Land management activities should be sensitive to this designation. Develop any recreational facility or trail system with respect for the forest and environment. Share your ideas about forest regeneration and restoration with the North Shore Forest Collaborative!